Flickr is a great site for sharing all of your favorite photos and viewing other’s photos. 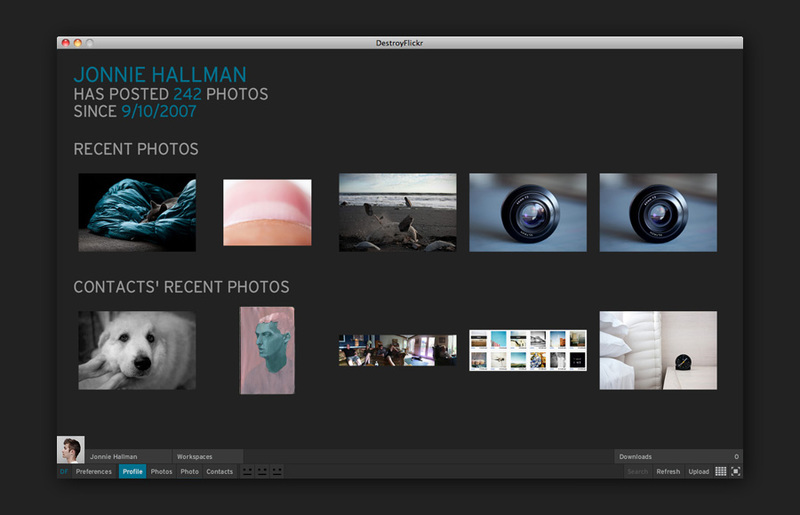 If you’re looking for a stylish program to manage your Flickr account without having to deal with their website, DestroyFlickr is a nice-looking program that’ll fit your needs exactly. After setting up DestroyFlickr, you’ll be greeted with your profile, including your recent photos, and photos uploaded by your contacts. You can switch to viewing just your photos, or just your contact’s photos, using the controls in the bottom. Once you’ve selected a photo, you can download it, copy its link, edit it, and more. It really does a great job helping you manage your photos and viewing your friend’s photos. DestroyFlickr, despite its ominous name, is a great Flickr client for those not happy with their website. If you’re bored with your current music-playing apps, you might be interested to know about Tomahawk, the most interesting music player on the internet right now. Tomahawk is no slacker. 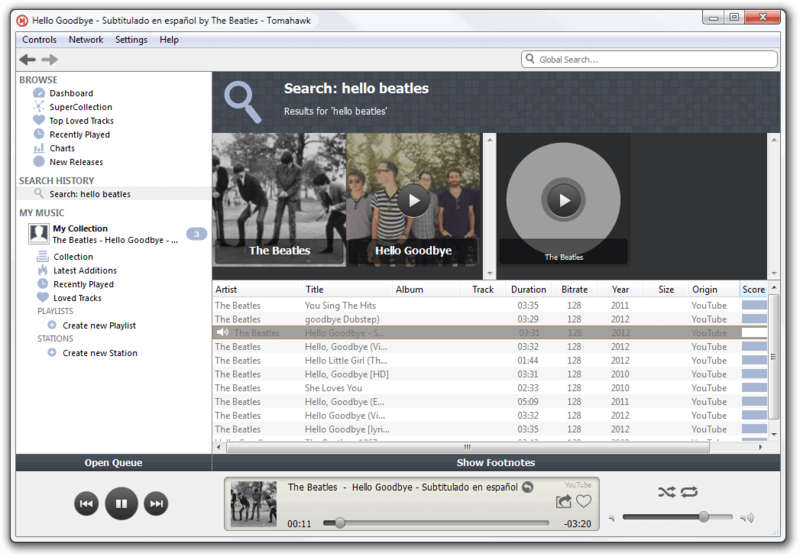 It’s great at integrating web services into your desktop music experience. If you have a Spotify Premium account, you can even stream directly from Spotify. Otherwise, there’s always YouTube, Soundcloud, Last.Fm, Dilandau, and any number of other services. You can also connect with both Twitter and Google Chat from inside Tomahawk, and create playlists and stations galore. These allow you to get similar songs based on what you like, and it has the potential to open you up to new artists you’ve never heard of. If you’re currently using any other desktop music app, or using an online interface such as Last.Fm or YouTube, I strongly recommend you check out Tomahawk. It’s free, integrates beautifully with numerous online sources, and is a pleasure to use. There’s something about drawing on non-tablet computers that can make it almost painful. It’s the way the lines turn out all jagged, the way nothing ever lines up. However, with Freehand Painter, some of this seems to fall away. 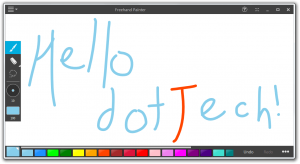 Freehand Painter is a vector drawing program designed for use on tablet PCs, but totally usable on desktops and laptops. 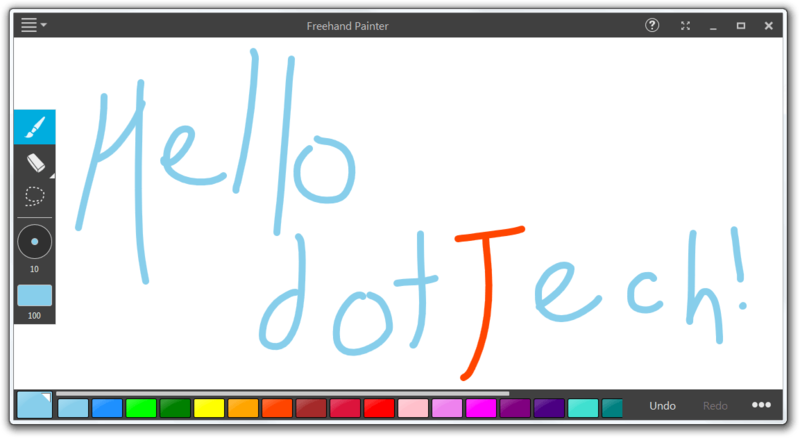 Freehand Painter contains a very easy to use interface with large buttons for ease of use on touchscreen devices. It also makes it very easy to use on a laptop or desktop, and significantly reduces the learning curve. You can set colors with the bottom palette, and with the buttons on the right, change paintbrush size and opacity. When you’re done drawing, you can always save your drawings either in vector form (as ISF files) or as rasterized images (BMP, JPG, PNG, etc). Freehand Painter is quite a nice little drawing program for anyone who likes to draw.